A dog and two cats live here. 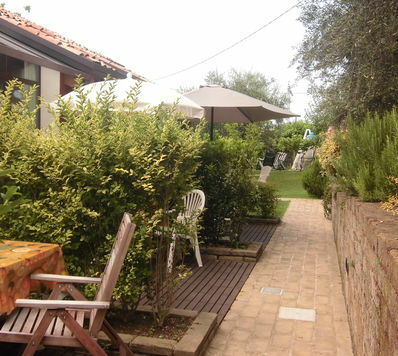 Agriturismo Cantarane is located in a hilly area of Bardolino, just a few steps from the city centre, far from the traffic and the noise, in a quiet, green and grassy place. Agriturismo Cantarane has at your disposal two flats and 2 brand-new rooms, each one supplied of daybed, kitchenette, fridge, bathroom, wi-fi,air-conditioning and satellite television. In addition, every room has got its own entrance, sloping roof and timber beams. Thanks to the family management, you'll find courtesy, kindness and a friendly attitude. At your disposal a roomy parking place, garden, barbeque and swimming pool. The structure is equipped by free Wi-Fi network.